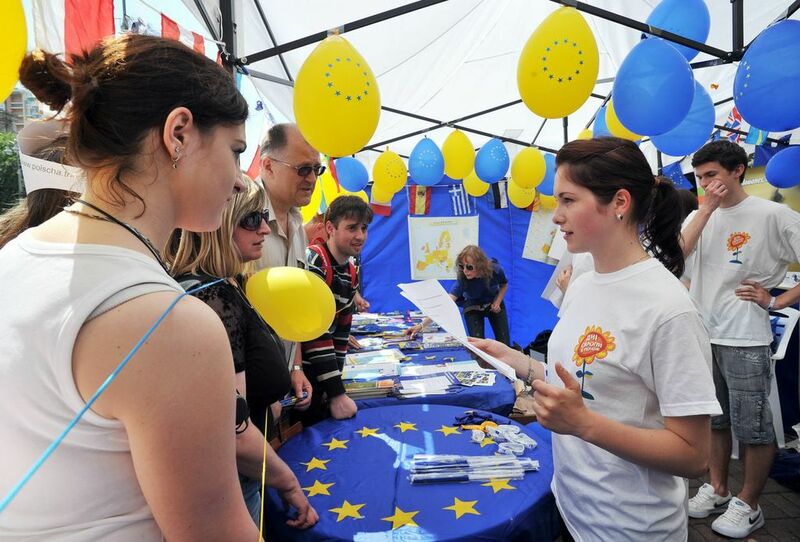 “Citizens are at the heart of the European Union as a political project,” said Jan Tombiński, head of the EU Delegation to Ukraine, during Europe Day celebrations on May 18 in Kyiv. 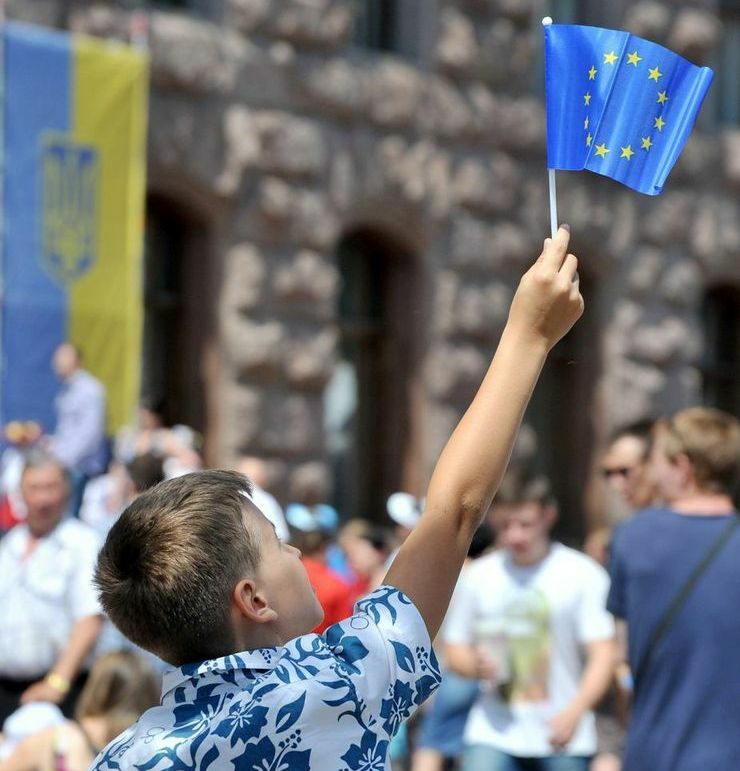 Along with Ukrainian officials, and thousands of Kyiv residents and visitors, Tombiński participated in the massive open-air celebrations marking the 63rd anniversary of the birth of the European Union. The celebrations were also attended by Leonid Kozhara, Ukraine’s foreign minister, who said that Ukraine is now close to signing an Association Agreement with the EU, and to EU-Ukraine visa liberalisation. Europe Day has been celebrated in Ukraine every third Thursday of May since 2003. Over the years, it has become a national celebration, with Kyiv at the center of numerous festivals featuring themed exhibitions, fairs, cultural activities and workshops along with music, dance, song and food events showcasing each of EU member states. Oleksandr Popov, the head of Kyiv City State Administration, praises the initiative, saying that Kyiv has a long history of co-operation with the EU and its member states. 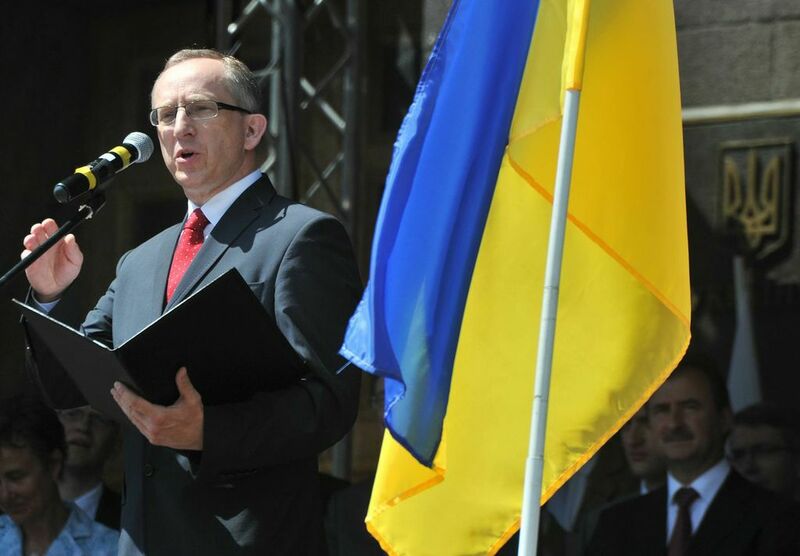 “EU business has invested almost $20 billion (over €15 billion) into the Kyiv economy,” he stressed. The European Village, a traditional part of Europe Day celebrations worldwide, offered guests many entertaining activities, including themed competitions and prizes. This helped Ukrainians to get acquainted with European Union Member States’ culture and discover more about the European Union and its citizens. The 2013 Europe Day celebrations culminated in a gala concert of a children’s music band. Europe Day (celebrated in the EU on May 9) celebrates peace and unity in Europe. The date marks the anniversary of the historical “Schuman declaration”: at his May 9, 1950 speech in Paris, French foreign minister Robert Schuman set out his vision for a new form of political cooperation in Europe that would make war between Europe’s nations unthinkable. His idea was to create a European institution that would pool and manage coal and steel production. Schuman’s proposal is considered to be the beginning of an integration project that culminated in the establishment of the European Union in 1992. May 9 was designated as Europe Day in 1985, with many public celebrations in member states to applaud European achievements.